It wasn’t long ago that Blackberry’s were the top dog when it came to smart phones. Products like the Curve and Blackberry Bold were the phone to have. Over the years though, as the Apple iPhone and Android phones became much more user and budget friendly Blackberry started to fade away, at least out of the individual user market. Due to the business nature of BlackBerry phones and the ability to remotely wipe business data off of the phone while leaving personal data intact, BlackBerry has still been strong in the corporate market. With the launch of the BlackBerry Z10 I’m sure they are hoping that the Blackberry Z10 will bring them back into the mainstream spotlight. The BlackBerry Z10 and BlackBerry 10 operating system have a feature called BlackBerry Hub. 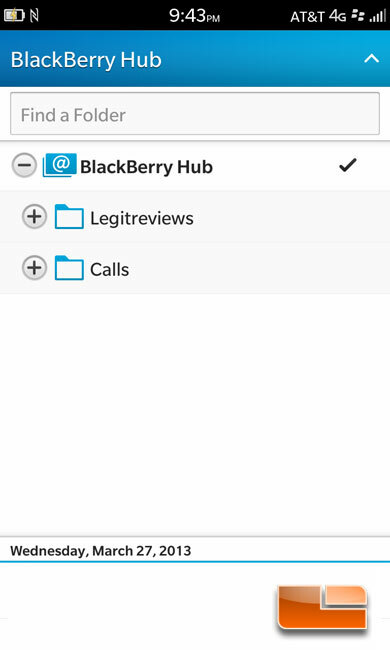 The BlackBerry Hub puts all of your accounts on to one page. From here I can access my Legit Reviews email, and all of my calls on the BlackBerry Z10. 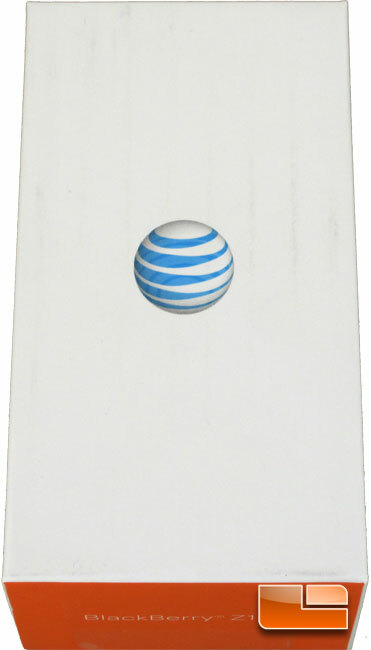 We aren’t surprised to see that the BlackBerry Z10 comes in a pretty typical package from AT&T, orange and white with the AT&T logo on the top. 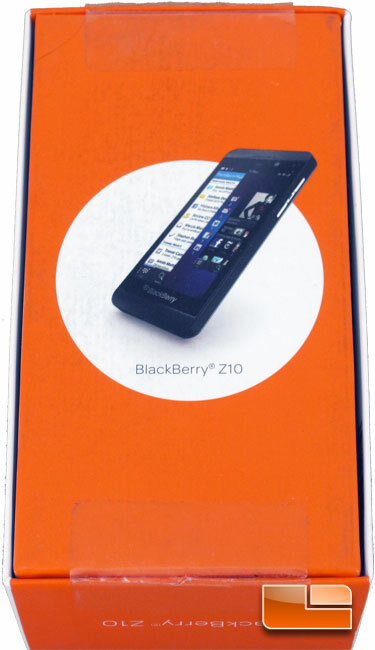 Flipping the packaging over and we can see that the back of the BlackBerry Z10 packaging shows us a picture of the phone, the name and that’s about it. Once we begin to remove the outer packaging we can start getting to the good stuff. 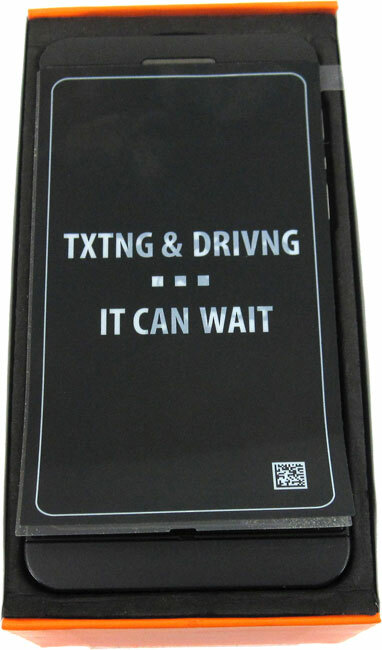 The first thing that is presented to us is the BlackBerry Z10 with the all important ‘TXTNG & DRIVNG IT CAN WAIT’ sticker. 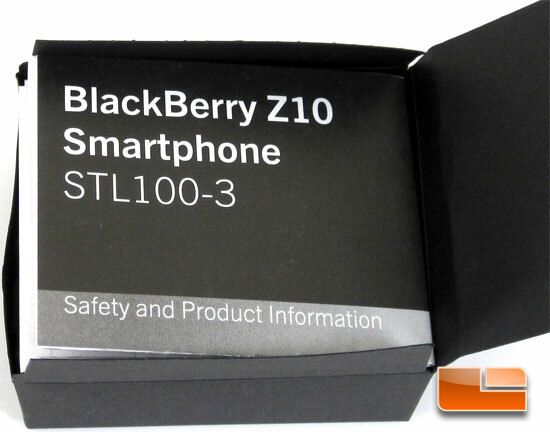 Beneath the BlackBerry Z10 there are a couple of small boxes that contain some of the paperwork and accessories for the BlackBerry Z10. Opening up the first of the boxes we are presented with a pamphlet for Qualcomm Snapdragon processors. Inside the BlackBerry Z10 is a Qualcomm Snapdragon S4 dual-core 1.5GHz processor. The Qualcomm Snapdragon S4 dual-core 1.5GHz processor isn’t a new processor by any means, but that doesn’t mean that it’s lost it’s touch. We’ve seen several phones recently that still use this processor including the Samsung ATIV Odyssey Windows Phone 8. 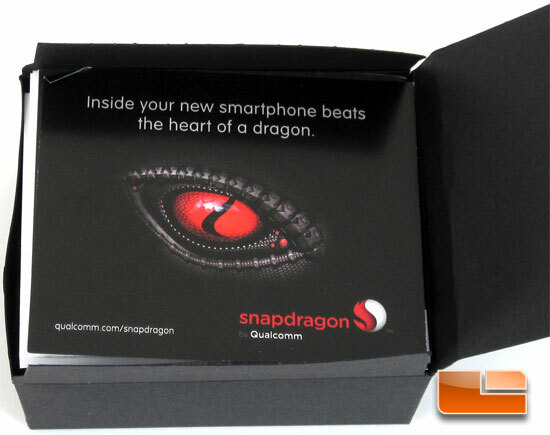 Below the Qualcomm Snapdragon brochure, we can find the safety and product information pamphlet. Contained below the paperwork and inside the other box is the accessory bundle in its entirety. 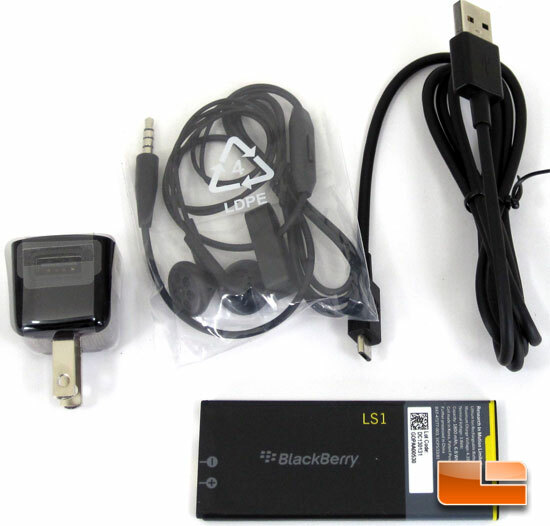 The BlackBerry Z10 comes with a wall plug for a USB cable, USB cable with micro-USB, a hands free device, and the battery. 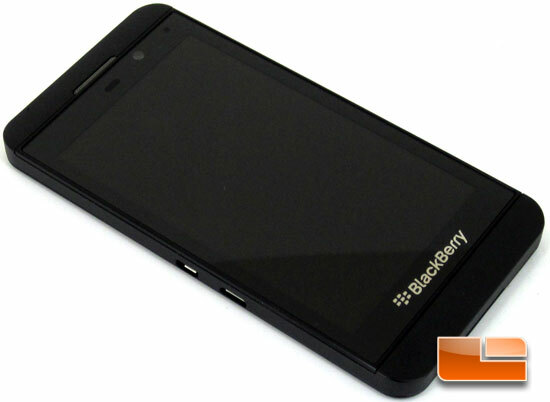 The battery for the BlackBerry Z10 is rated for 1800mAh and a nominal voltage of 3.8Vdc. A quick search on Amazon.com and we can find an OEM LS1 battery from BlackBerry for as little as ~$40.